As I sat in the sold-out theater waiting to see Black Panther, Black families filled the room with a tingling excitement that didn’t abate until the closing credits. The boy sitting beside me squirmed in his seat, knocking popcorn into my lap with each wiggle. I couldn’t blame him one bit. Black pride in Black Panther has been described as akin to the election of Barack Obama. Fundraisers have raised more than a quarter of a million dollars to send underprivileged Black kids to see the movie. Black adults teared up recording messages to Chadwick Boseman on a segment of Jimmy Kimmel. 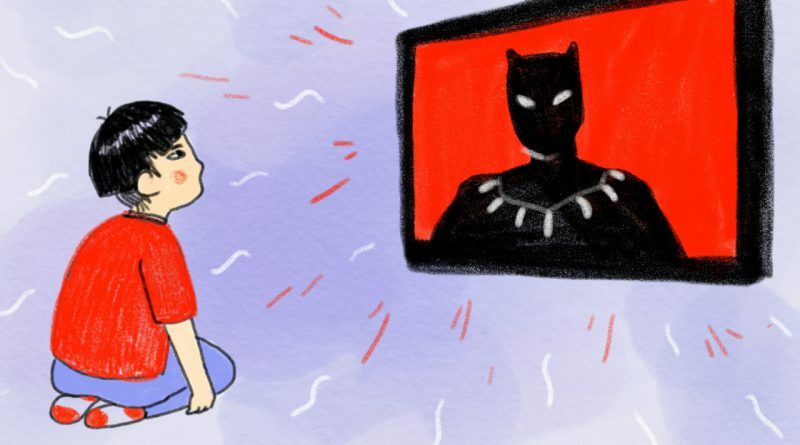 The impact of Black Panther on the Black community shows that media representation matters. I celebrate Wakanda and its cultural significance for the Black community, but what about my own community? Is an “Asian Black Panther” even possible? What would it look like? What would it take to bring the same sense of empowerment to Asian-Americans? Hollywood has not only erased Asians from our own stories, they seem confused about what Asians look like. The practice of Black face thankfully ended during the civil rights era, but the practice of using white actors to portray Asian characters persists. Canadian actor Justin Chatwin played Goku in Dragonball: Evolution in 2009 with eye-liner that elongated his eyes. Emma Stone became the Asian-Hawaiian Allison Ng in the 2015 Aloha with the help of slightly darkened and angled eyebrows. Most recently, there was Scarlett Johansson as Motoko Kusanagi in Ghost in the Shell, with her hair dyed jet black. Hollywood’s erasure of Asian leads is particularly painful as it mirrors the struggle of Asian Americans in real life: We are perceived as a model minority that works hard but stays quiet and does not reach the top echelons of leadership. 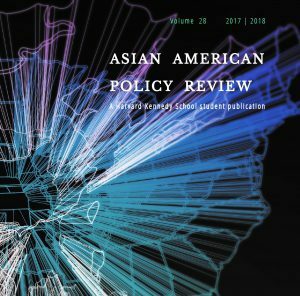 Asian Americans make up 5% of the U.S. population and yet account for less than 0.3% of corporate officers and less than 1% of corporate board members, despite much higher representation in business and professional occupations. The stereotype of Asian Americans as meek and subservient means that Asian Americans are less likely to be perceived as ideal leaders . Perceptions matter, and we need Asian American role models in the media, just as we do in the workplace, to break free of the roles that imprisons us. And that is exactly the power of Black Panther for the African American community. If we are ever to see an Asian Black Panther, Hollywood needs to take a chance on leading Asian men and women. In a leaked email exchanged among Hollywood studio executives, screenwriter Aaron Sorkin complained that “there aren’t any Asian movie stars” to adapt Michael Lewis’ book about the Wall Street executive Bradley Katsuyama to the big screen. But Chadwick Boseman was hardly a household name before he became the King of Wakanda and worldwide box offices. Asian-Americans including Jon Wu, David Henny and Constance Wu can hold their own among the stars. Ultimately, it will take more than just Asian stars to have our Black Panther moment. The world of Wakanda is empowering because it is a story of Blackness that isn’t about slavery and oppression. Neither is it the story of a Black community dependent on a benevolent White. It is a story that would not make sense if its heroes, heroines, and villains were not Black. Asian Americans need stories of our own not centered on immigration or foreignness. From Jackie Chan’s latest movie The Foreigner Fresh to ABC’s Off the Boat, Asian stories are about our otherness in a foreign land. As an immigrant, these stories of otherness resonate, but they can also feel too raw. To have representation, my history and my reality becomes entertainment, art, education, or some combination of all the above, for a predominantly white audience. This is how I’m sure, some Black Americans feel about movies like 12 Years a Slave. For a movie to ignite the Asian American community as Black Panther has the Black community, Hollywood needs to balance our right to be seen, but not otherized. It shouldn’t be a tall order, but somehow for Hollywood, it is. Seeing the little boy beside me shriek in awe at T’Challa in action, I remembered my first idol, Bruce Lee. I saw his films as a little girl in China and was overjoyed when I immigrated to Canada at eight-years-old, to find that Bruce Lee was a hero here too. I devoured every book written about Bruce Lee and wrote a 30-page autobiography on him in high school and had it professionally bound. I had a friend print an image of Bruce Lee on a t-shirt that I still wear. Having a hero that looks like you and those in your community is important. The next generation of Asian Americans need their own Bruce Lee. We too need a king and queen we can look up to and a Wakanda we can call our own. Susan Liu is graduate student at the Harvard Kennedy School and the Wharton School of Business. Featured artwork by Jinjin Sun.